Everyone wants to know how to make money blogging. The idea that you can earn a living working from home (or while travelling the world!) 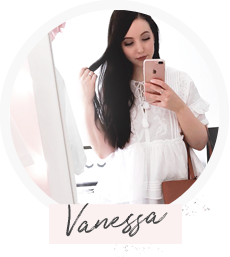 running a blog is both a dream for some and a reality for others, including myself! 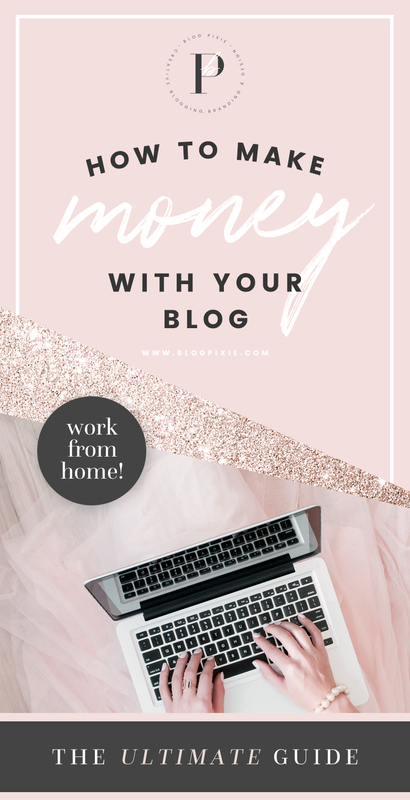 If you want to know how to earn money from a blog, it’s easy if you learn the formula of a money-making blog. Once you put the effort in and set up all the different avenues of income for your blog, you’ll start seeing results fast! Blogging is my full time job and has been for several years now. I was working regular jobs, as you do, all while experiencing a struggle with severe anxiety and depression. I could barely make it out the front door of the apartment without crumbling. I kept blogging throughout this time of my life, made Youtube videos, but did it all on the side of working another job. After hitting the worst low of my life, it clicked in me that I had to make a big change if I wanted to make things better, so I decided to take the focus of my blog and social media from 50% to 100%. Blogging was the only thing that made me happy and I wanted it to be my everything, my job, my life. A lot of people think they have to make a blog with the niche of “blogging” in order to make money blogging and that is definitely not true! I see it all the time – people who start a blog out of nowhere, focused on blogging tips and advice, when they’ve only been blogging for 5 seconds themselves! You can see it from a mile away – it’s not genuine and they didn’t start it for the right reasons. Don’t fall into that trap. My fashion, beauty and lifestyle blog Flip And Style has been both a part time job and a full time job. No matter what type of blog you have, whether fashion, beauty, lifestyle or parenting, if you focus on making it (and your social media accounts) a success and follow all the strategies mentioned below, you have a very good chance of earning enough money to make blogging your job. It’s all up to you! I want to share with you all the advice you need on how to make money blogging. Let’s go! To make money blogging, of course you’re going to need to start a blog! It is important to start a WordPress blog so you can start with a domain (www.yourblogname.com) and monetize it in all the best ways. To open and run an online store, whether now or in the future, you need to be using WordPress. To gain email newsletter subscribers with special pop ups and sign up forms, you’ll need to use WordPress plugins. You will also look much more professional, inspiring and creative with the WordPress themes that are available. Read my easy instructions on how to start a WordPress blog. It is important for your blog to be self-hosted on WordPress from the beginning if you want the best chance of making money. I ran both my blogs on Blogger for quite some time and I did make money in bits and pieces, however the amount of money I made increased so much when I moved both to WordPress. I wish I’d done it from the beginning, they look so much more professional now and it’s been the best little investment I’ve ever made. Having a domain will turn your blog from being just a hobby to being a serious blogger! You’re unlikely to get many paid opportunities if your blog address is yourblog.blogspot.com or yourblog.wix.com. If you start your WordPress blog with Bluehost, they will include your domain for free and link it up to your blog so it’s all ready to go – you don’t have to worry about all the complicated technical things! 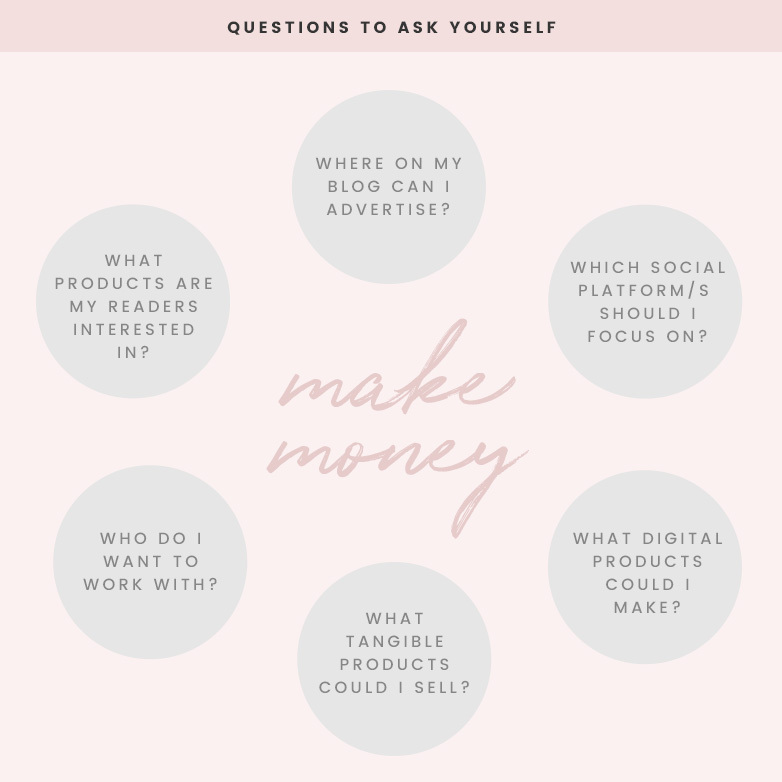 There is no solid answer to this question, as it all depends on the blogger and how much effort they’ve put into their blog, marketing, branding and business. Some bloggers are making millions each year, some are easily hitting a 6 figure income, with tens of thousands of dollars streaming into their accounts monthly. Others might make more of a typical yearly salary and then there would be those who make a little bit of extra cash each month, on top of their regular job. Blogging as a job isn’t a “get rich quick” type of thing. It requires time, effort and dedication. If you’re extra dedicated and put a tonne of effort in, you might see money within the first 3 months! Realistically though, you will need to be blogging for at least 6 months before you see any decent money coming in. If you really focus on your blog and you really want to make it work, you can potentially be making a full time income within 1 to 2 years. This is why I recommend starting a blog with Bluehost, as you can get a great deal paying for 3 years of hosting upfront. You need that time to make your blog a success! So now you have a blog in a specific niche, you’ve spent some time making it look good, you’ve got traffic flowing in and you’re publishing posts. You’re ready to start earning money from it! You might be wondering, how exactly do bloggers make money? Where does it come from? My #1 tip is don’t put all your eggs in one basket. You need to earn money from as many different avenues as you can. By ‘avenues’ I mean businesses you work with and ways you sell items, whether it be through affiliate marketing (selling other people’s products) or through selling your own products. Keep reading for more information on that! It would be great if we could have one “employer” for our blog that popped the money into our account every month. But guess what, you are your own boss! You have to hustle to get the money coming in from as many people and places as you can. Nobody is going to do it for you. The secret to blogging full time is having multiple income streams. You will need to create a Paypal account so you can accept payments and send invoices. The following questions will help you figure out all the different ways you can earn money from your blog. Go through each question and write out a plan with your answers that you’ll be able to put to use! Which of my social media accounts can I put a lot of effort into? What digital products could I make that focus around my niche? What tangible products could I sell in future? What kind of businesses do I want to work with for blog and social media posts? What types of products and services from other businesses would my readers be interested in? What ways can I recommend these products and services to my readers? As a scenario based on the above, let’s say you have a Mommy/Parenting blog. You could place ads in your header, side bar and/or footer. You could start a Youtube channel with videos on what’s in your baby bag, baby room decor, mom life tips, organization, cleaning hacks etc. You could work with baby, organization, furniture, craft, department or boutique stores. You could recommend these in your blog posts, in product widgets, in “swipe up to shop” instagram stories. No matter what type of blog you have, answer the questions above and you’ll find out how you can monetize it. Now that you have started a blog and you’ve got all your money making ideas in the back of your mind, I can fill you in on all the different ways to make money blogging. What they are, what they mean and how to do it! There are three money-making categories every full-time blogger works under – Advertising, Affiliate Marketing and Products/Services. You will find most bloggers aim to focus intently on at least one of these, although if you are striving to blog full time, I highly recommend focusing on all three. The first category is Advertising. This includes placing sponsored posts on your blog and/or social media, as well as placing ads in different areas around your blog. You are very likely to succeed in this category if you have a decent amount of traffic hitting your blog (at least 10,000 unique visits per month), or a decent following on social media (at least 5000 followers). Display ads are the image Ads you see showing up in different areas of a blog, whether it be in their side bar or at the top or bottom of their blog. There are many advertising platforms you can go with to get ads for your blog, however the best platform to start with is Google Adsense. Google Adsense is an advertising platform which allows you to place banner ads on your blog and track your performance and earnings. 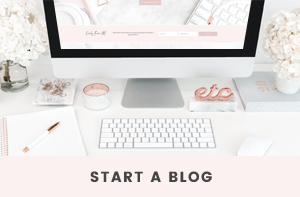 When you sign up, you can ‘create an ad’, where you are able to choose the ad size that will fit nicely into the side bar or footer of your blog. They give you a code to place on your blog in a HTML gadget. Once you save that gadget with the new code, it will automatically make an ad (image) show up on your blog, to a size of your choice, with content that relates to the people viewing your blog. You earn money through a combination of views and clicks. 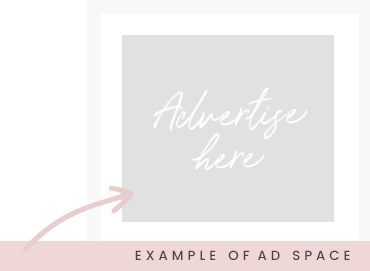 You can choose to sell your own ad space on your blog, both to businesses and to other bloggers. This is something I did in my first year or two of blogging. Some businesses will contact you directly and will be interested in placing an ad in the side bar of your blog, if they believe you have traffic that might be interested in their product or service. Alternatively, other bloggers may see your blog as a way to advertise their own, as they would be gaining exposure in front of an audience who already loves reading blogs. If your blog is very new, you might want to sell a little square of ad space in your side bar for $10 per month. That might sound like a very small amount, but that amount could be paying off your blog hosting! If you’re getting some good traffic though, you can take that amount up to around $50 per month. To attract new advertisers, place a heading or button in your side bar that says something along the lines of ‘Advertise Here’, and link it to a new page on your blog, with your advertising options and contact details. That way, visitors can see straight away that the option to advertise is on the table. A sponsored post is where a business pays you to create a blog post to advertise their product or service. It can be as simple as a product review or as elaborate as an editorial-type spread. It is a cost-effective way for a business to appear on blogs that reach their target customer. If you want a brand or business to work with you, they will be looking to see if people are interested in your blog posts (you’re receiving lots of great comments), that you’re good at putting a beautiful post together and that you’re willing to promote that post on social media to get as many people seeing it as possible. When you are being paid to create a post for a brand, you have to treat it as an actual paying job. If someone is putting money into your business, you need to give back to them with what you create. Before you go straight into posting about the product or service you have been asked to promote, think about how you can creatively work it into your life and how you can translate that into a blog post. When you’ve built a significant, engaged following on social media, brands will be interested in paying you to share their products with your followers. The most popular form of social media for brands to promote their products is through Instagram posts. You will see posts from influencers all the time where they’ve written “#collab” or “#ad” in the caption – that is a paid social media post. More and more brands are realising that it’s not about how many followers you have, but how engaged your following is. You don’t need to have thousands and thousands of followers to land a paid social post, you just need to have a following that clearly loves you and what you do (comments, likes and shares). Affiliate marketing is where you promote someone else’s products or services with a unique tracking link. You use the link you’ve been given to send traffic to certain products/services. If someone clicks through your tracking link and buys the product, you will earn a small percentage of commission from that sale. There are also programs available at individual websites, so always check the links in the footer of your favourite websites to see if they have an Affiliate Program link. Many bloggers make a full-time income from affiliate links alone. This is done through being savvy with their strategy, as well as building a following who trusts them and their recommendations. I recommend installing the Pretty Link Plugin on your WordPress blog. This allows you to shorten links, so instead of an ugly long affiliate link, you can create a link such as yourdomain.com/affiliatename. Adding a product widget to your blog post, in the middle or towards the end of the post. The products you add to this widget could be items you mentioned in the post or products shown in your photos. Adding a product widget to your side bar, showing your ‘Current Favourites’ (can also be called a ‘Love List’ or ‘Lust List’). If a sale is running at one of your favourite stores you can post, tweet or Facebook about it, using your affiliate link for that store. Create a ‘Shop’ or ‘Loves‘ page on your blog and add the coding for a large affiliate product widget to it. Make use of affiliate apps for Instagram, especially Rewardstyle’s Liketoknow.it so you can link to products you’re showing in a flatlay or wearing in an outfit post. Use affiliate links in your email newsletters. Create a ‘Recommendations’ page on your blog, linking to your affiliate partners. If you’ve just bought a piece of clothing and you can find an affiliate link for it, show the item on your Instagram story and use the ‘Swipe Up’ feature, linking it to the affiliate link. eBooks – An eBook is a PDF file containing content on a specific topic. 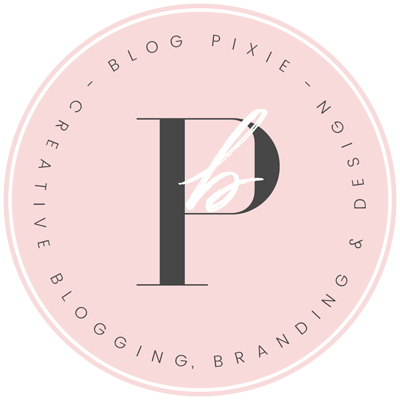 If you are quite knowledgeable on a topic (blogging, social media, marketing, styling, etc.) or have found success through a particular method, selling an eBook is a great way to share that information. Printables – In this day and age, we are all about time management and organisation, so printables are a popular product! You can create planner pages, checklists, calendars, worksheets or anything else you think someone would want to print out. Templates – Many people out there may not have the design skills that you do, therefore selling templates allows them to take the information they have and place it into a document which has already been designed for them. Template ideas include media kits, invitations, business cards, resumes, email newsletters, blog post images, flyers, brochures and more. 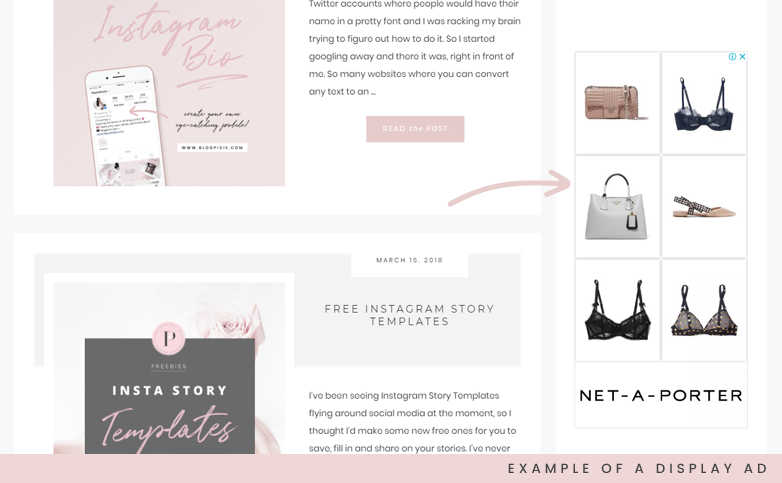 Blog Themes – Pre-made blog themes are perfect for bloggers who want to makeover their blog and have no idea how to work with HTML or blog coding in general. If you know how to make them, there is a market there! Graphics – Other products that non-designers might love to buy are graphics. Not everyone has time to learn how to use Photoshop, or has the design talent that you may have. Therefore, you could try selling graphics such as side bar headings, dividers, patterns, fonts, social media icons and banners. 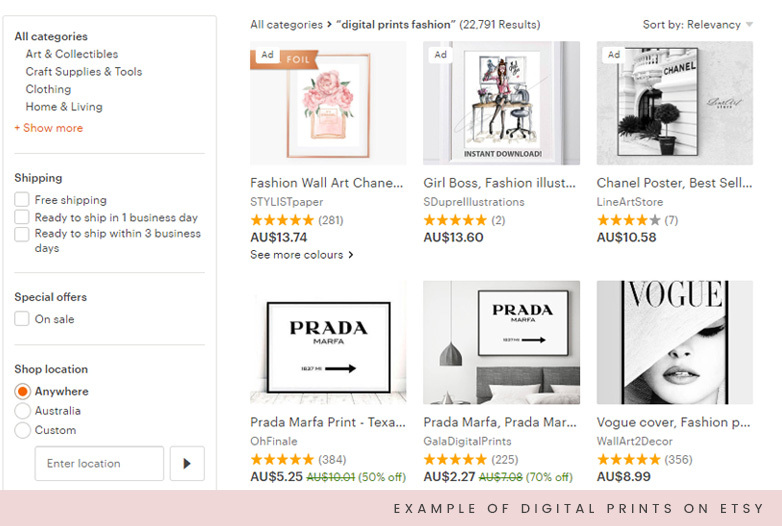 Artwork – If you paint, sketch, illustrate or create beautiful handwritten quotes, you can sell them as digital files to download and/or print. Stationery + Invitations – There’s a big business in wedding invitations and stationery! 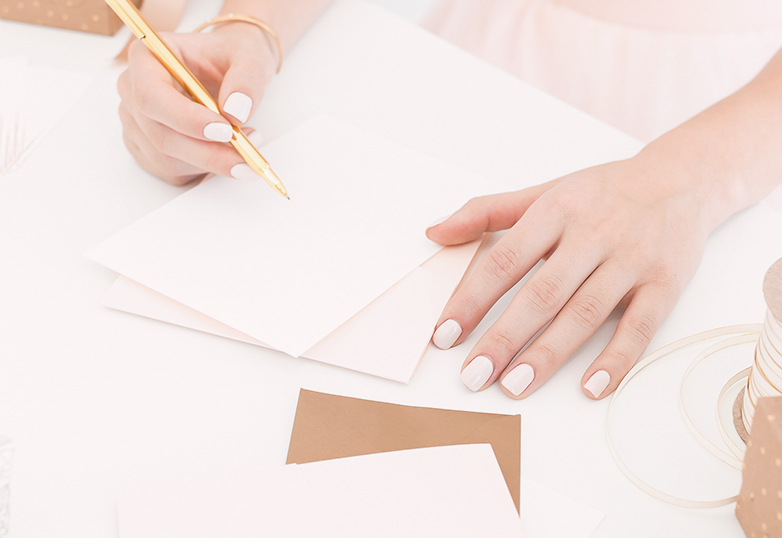 If you can design stunning invitations, you can sell them on your blog or Etsy. Photography – As mentioned earlier, styled stock photography is a very popular product for those who are time-poor or aren’t very skilled with a camera. There are people out there who will pay for a beautiful, styled photo to use on their blog or within a commercial project. Online Course – If you feel you are knowledgeable on a certain topic and you’d love to teach others, you can create and sell an online course. There are platforms such as Teachable which allow you to easily set up a course and make money running it. Membership Site – You can create a site which requires a membership to use it, such as a styled stock photography website. Premium Content – You can restrict a certain section of your blog, maybe with your best information and/or items on offer, and charge a fee for people to enter it. Styling – If you have a flair for fashion or simply love to make things look good, you can potentially be hired as a stylist. There are so many occasions where a stylist is helpful, such as photoshoots, commercials, parties, events and weddings. This is a great service to start up if you live in a smaller area. Web Design / Branding – For those talented, creative designers out there, many businesses require your services. If you are able to design websites, blogs, or if you have a knack for branding, these services are in demand, so you can sell them at quite a high price. Social Media – It is so important for brands and businesses to have a social media presence these days, and many just don’t know how to make it happen. If you have built your own following and know how you can do it for someone else, you can work as a freelance Social Media Manager. Virtual Assistant – Some people really want to run a blog, but just don’t have the time to do it well. In this case, they will hire a virtual assistant to work for/with them. A virtual assistant can be responsible for creating blog posts, running social media accounts and responding to comments. If you think your followers might be interested in this money-making guide or you want to save it for future reference, feel free to share it on social media! The most successful bloggers are successful because they are passionate about their blog and the content they’re creating. They’re willing to put years into their blog and it’s not all about the money! Put your personality into your blog – nobody is going to buy from a robot! Don’t copy another blogger’s platform and business from top to bottom just because it seems to be working for them. Focus on coming up with your own blog, brand and business with a unique twist that makes you stand out. Work on your reputation! You need your blog visitors to trust and believe in you in order for them to buy what you’re promoting. 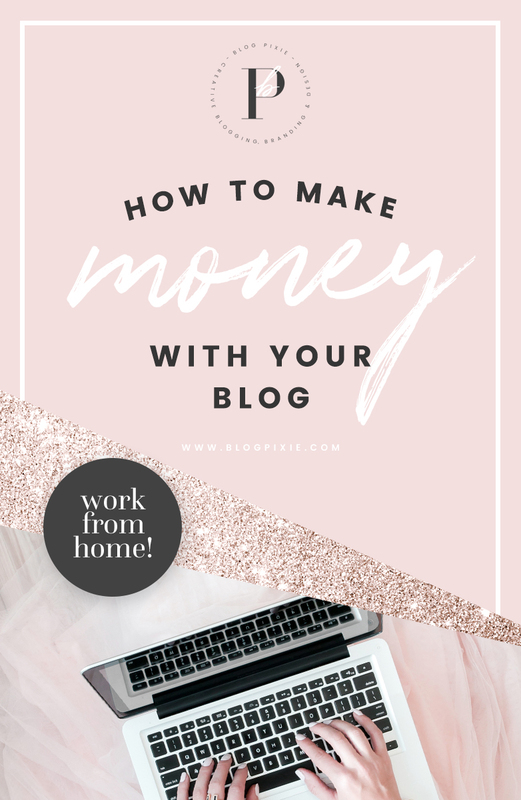 When it comes to talking about how to make money blogging, I could go on forever! 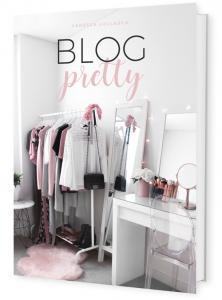 I hope this guide is helpful for you and you can work your way towards earning a living with your blog. Push yourself, focus and put the effort in and you can make it happen.